I thought they must have had the wrong Greg Carter and Meg Hall when the invitations to Kirribilli House from the Honourable Prime Minister arrived in the post, I very nearly discarded them thinking they were posted to the wrong address, but curious I read further and discovered there was no error, gold leaf and all, we were being summonsed in celebration by the Prime Minister to his residence, the invitation was in connection with the McGrath Foundation’s 10 year anniversary, the true heroes of this story, and through our association we were to be privy to the exclusive event. We had been slogging away over the past 18 months scouting for would-be adventurers to join us on a journey to Antarctica on our bespoke fundraiser for the foundation, each berth sale benefiting their cause, and as thanks for our efforts we were chosen, among a select crowd, out of thousands of fundraisers from around the country in, what we view as, the highest regard. In-between invitations and the event there was a change in leadership in the governing Liberal Party, so for a while there was a bit of an eyebrow raise as to who exactly we would be meeting on the prestigious day, the original honourable was now not so honourable and who was, once, not quite so honourable was now extremely honourable, would he be too honourable and perhaps somewhat busy in his fresh post to be interested in meeting us? We had to wait and see. One week out and we were thrilled to learn that not only was the event still on but the host was to be our new Prime Minister, I looked forward to shaking his hand. Once I recovered from the shock of the invitation I flew in to a pink panic, the dress code was smart with a splash of pink. Being more comfortable in a pair of jeans and t-shirt and in any colour but pink, my wardrobe was not well equipped, a dream for most ladies I know, what better excuse to go shopping for a new outfit, but I have this rare allergy to shopping so spent the next week flapping around the neighbourhood trying to pull together appropriate attire. Thanks to a few kind friends with well-equipped wardrobes, Cinderella was ready for the ball with splashes of pink and soon the evening arrived. 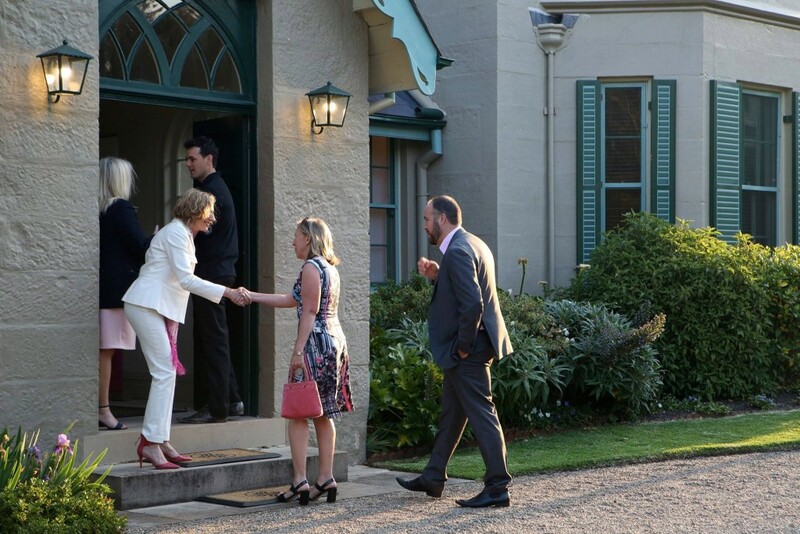 We were greeted by lovely warm spring weather which accompanied us to Kirribilli House on this formidable evening, where we received an equally lovely warm reception from the McGrath team plus a firm hand shake from Mr Turnbull. 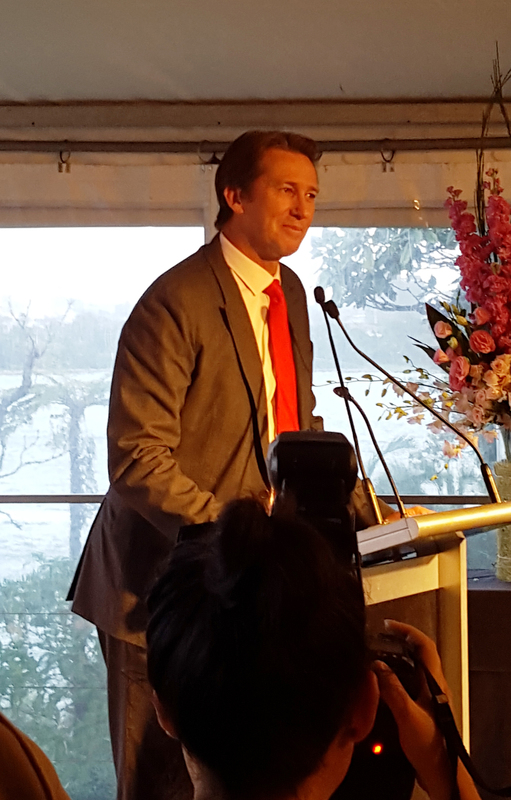 The event marked an opportunity for McGrath Foundation President & Co-founder, Glenn McGrath to personally recognise and celebrate the amazing efforts of some of the McGrath Foundation’s biggest supporters over the past ten years and it was truly an honour to meet and be amongst these supporters. Very sadly everyone has a connection to cancer, it makes us feel hopeless in the darkest of times but through organisations like the McGrath Foundation there is an outlet to guide that energy into something positive, a place where we can work together to assist others going through the trauma of cancer. McGrath Breast Care Nurses are at the heart of what they do at the McGrath Foundation. To date they’ve helped to support over 36,000 families in Australia experiencing breast cancer by providing invaluable physical, psychological and emotional support from the time of diagnosis and throughout treatment. I know only too well how much that support means, having lost my father to cancer earlier in the year. At the time we were so lucky to have a team of incredible support people helping us through the brain cancer journey, they were a real crutch, the closest thing to a living angel and we needed them. To think that some people go through cancer, of any kind, without that support saddens me immensely, it’s a lonely and difficult road to travel, so swapping stories of effort and achievement amongst the foundation supporters at Kirribilli House was both rewarding and empowering, it was as if, on this evening, cancer didn’t win. Antarctica may seem like a strange place to take such a cause, after all isn’t the McGrath Foundation all about cricket and breasts? What has that got to do with Antarctica? 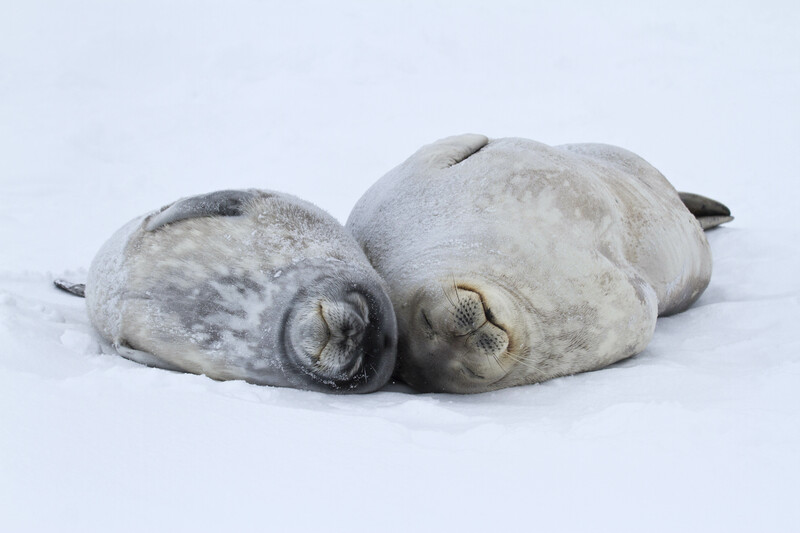 At Chimu our job is extreme, Antarctica is what we deal with every day, it’s destination that people mostly only dream of and every day we work on making dreams come true, taking people on adventures to the end of the earth, so why not use this platform for the greater good. Imagine if, for every dream that comes true, so does someone else’s it’s the perfect chain reaction. And so ‘Pinktarctica’ was born. Working with the team at the McGrath foundation over the past 18 months has been both an eye opener and extremely rewarding, and we’re so pleased that Tracy Bevan, foundation co-founder and Ambassador will be travelling with us to Antarctica along with Greg Carter, Chimu’s co-director and 115 other adventurers, on the now famed Pinktarctica voyage. Tracy is such a warm, generous and interesting personality, we know she will make the journey so much richer for everyone on board. 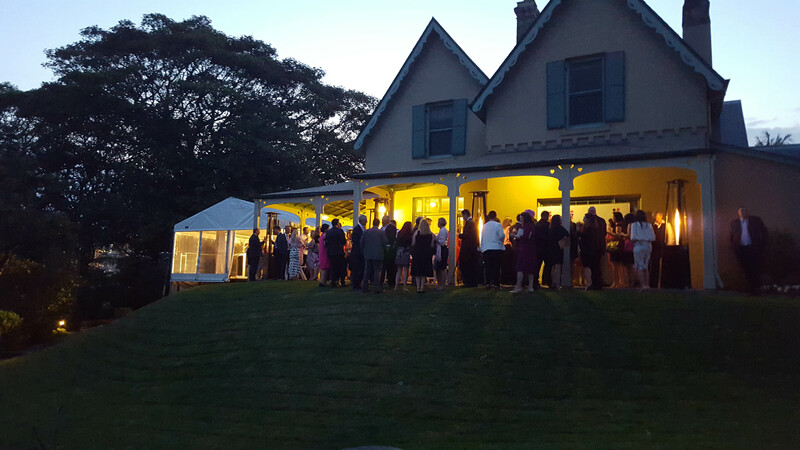 I caught up with Tracy after the Kirribilli event and got a few fresh thoughts from her on the pending adventure. Tracy you’ve been leading the cause at the McGrath Foundation for 10 years now, congratulations on your milestone, what keeps you motivated? Thank you. 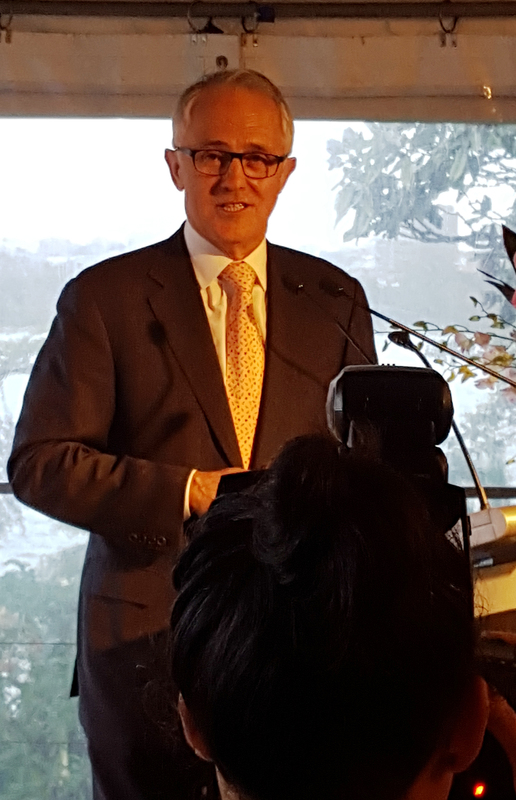 I keep motivated by a number of things, the first being a promise I made to my friend Jane McGrath before she passed, which was that I would continue her work at the Foundation raising funds so that families in Australia experiencing breast cancer would have access to, and the support of a breast care nurse. Secondly, when I see the amazing ways Australians, be it corporates, communities, or donors – support us every single day – it’s just inspiring. Simply, without that support we don’t exist. Why have you decided to travel to Antarctica yourself, not send another representative for the McGrath Foundation? Obviously for me it’s a fantastic opportunity to see one of the most amazing places in the world, whilst also having the opportunity to meet those that are supporting the Foundation just by going on the Pinktarctica trip. 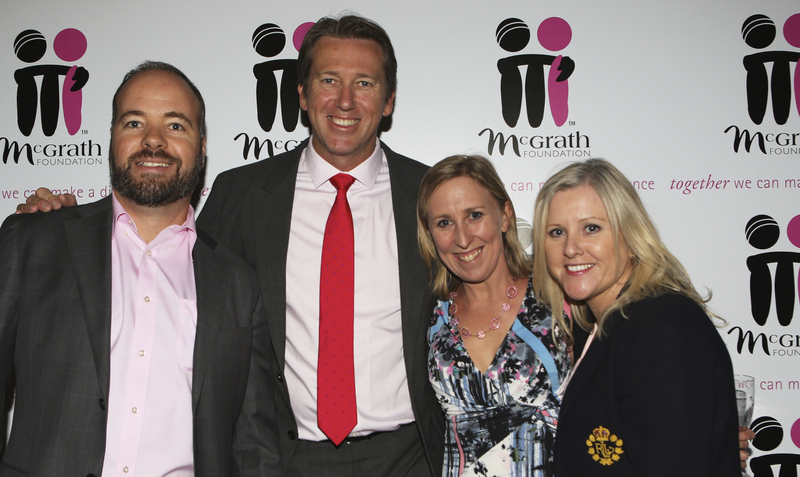 As the McGrath Foundation Ambassador, it’s also a great opportunity to thank everyone, spend time with them, and help them to understand the difference their support is making to those Australian families experiencing breast cancer. I’m most looking forward to actually being in Antarctica, seeing and experiencing this amazing natural wonder of the world for myself. I’m also looking forward to meeting everyone on board, getting to know them and hopefully making a few new friends! 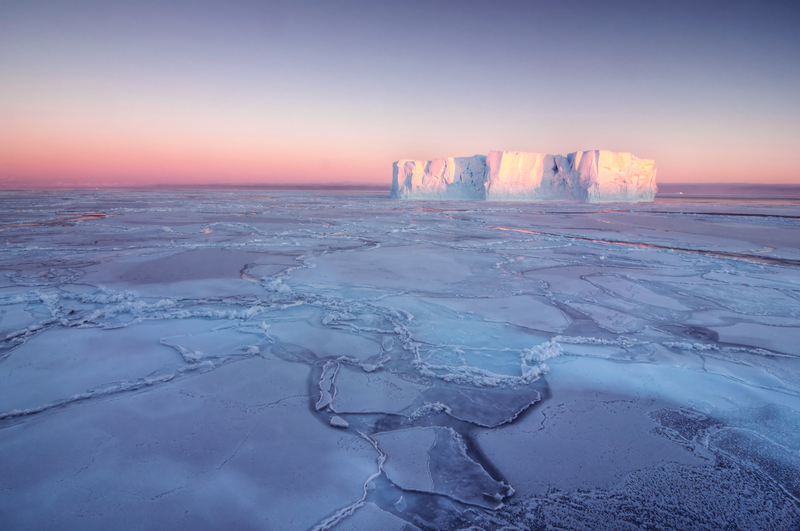 What are your expectations for Antarctica? 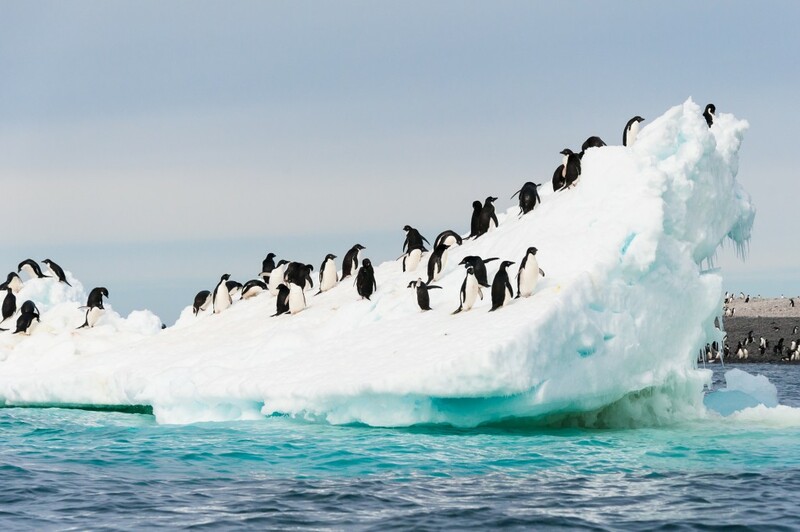 I have been told by a number of friends that have already been to Antarctica, that it will be better than I can imagine, so I’m just looking forward to experiencing that. I’m also expecting it to be very cold! I’m packing clothes that I can layer and that will hopefully keep me warm. Plus a camera to hopefully capture the magic of Antarctica. What do you think Jane McGrath would think of your crazy adventure? I have no doubt whatsoever that Jane will be joining me on this amazing adventure. She would be enormously grateful to Chimu and those that are on the trip, and would want me to make sure everyone knew how grateful she was for supporting the McGrath Foundation. I would just like to add a huge thank you to Chimu for this amazing opportunity and I can’t wait to share this once in a lifetime opportunity with you. We at Chimu Adventures have taken to the streets with the McGrath message ever since the launch of Pinktarctica in 2014. The journey is now sold out and is waitlist only. Though the voyage is yet to begin we feel like we have already been travelling for a long time, from Kiribilli House to Antarctica, there has been a lot of water under the bridge and we can’t wait to put the icing on the cake at earths end. Now having now experienced Chimu on the ground in both Antarctica on my own and in South America with my precious cargo, my two young sons, several times, I can hold my head high and say, “it is the only way to travel”. The only difficult decision to make is when to go! I cant wait to get back!